Unlike earlier peace agreements, there is a timetable for the de-commissioning of firearms by the Moro Islamic Liberation Front. The first phase has already been implemented. 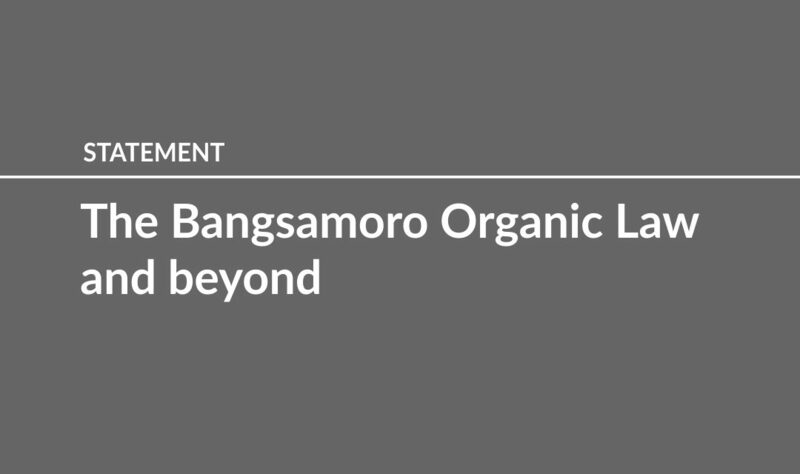 We are aware that many challenges will continue to confront the Bangsamoro Transitional Authority over the next three years as well as the future elected members of the Bangsamoro Parliament. Ultimately, it will be left to the residents themselves of BARMM to ensure the participatory and viable functioning of the autonomous region. On our part, as Catholic religious leaders, we need to focus on the horizontal peace process on the ground–i.e., by engaging in the dialogue of life, action and spirituality among ordinary Christians and Muslims. We also need to commit to intrafaith and interfaith dialogue towards mutual respect and understanding so as to reduce or eliminate biases and prejudices. Religion should be viewed as a bridge towards reconciliation, not a wall that divides. 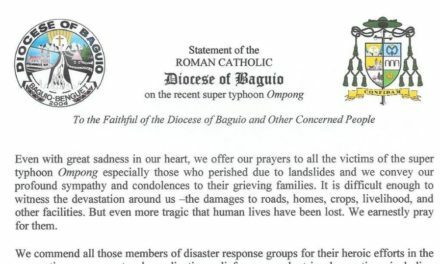 As Catholic Church leaders advocating for peace, we must also know what the BOL says in order for us to make an informed and responsible choice, and vote on the merits of the BOL and not on the basis of bias and prejudice. With all our constituents in parishes and schools, we pray for a lasting peace in Mindanao—a gift and a task—that respects cultural and religious diversity, while acknowledging one God, Creator and Provider of us all. 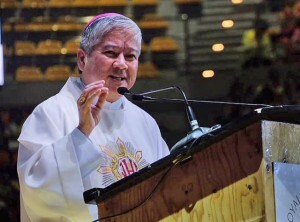 HIS EMINENCE ORLANDO B. CARDINAL QUEVEDO OMI, D.D. MOST REV. ANTONIO J. LEDESMA, SJ, D.D. MOST REV. 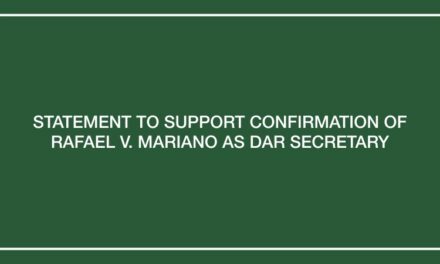 GEORGE B. RIMANDO, D.D. MOST REV. JOSÉ ARANETA CABANTAN, D.D. MOST REV. CERILO U. CASICAS, D.D. MOST REV. EDWIN S. DE LA PEÑA, D.D. MOST REV. ABEL C. APIGO, D.D. MOST REV. GUILLERMO D. AFABLE, D.D. MOST REV. 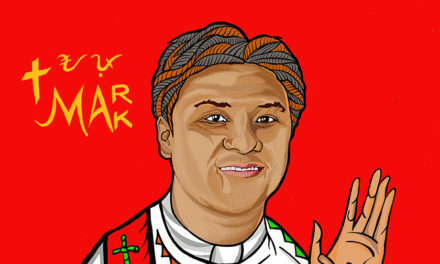 EMMANUEL T. CABAJAR, CSsR, D.D. MOST REV. JULIUS S. TONEL, D.D. MOST REV. SEVERO C. CAERMARE, D.D. MOST REV. RAUL DAEL, D.D.